I’ve knitted up another version of my Black Death shawl, so that I could make notes as I went and write up the pattern. 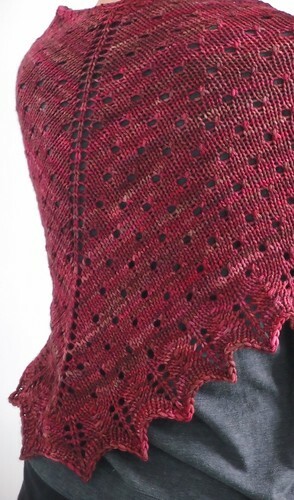 This time I used Malabrigo Rios, in a gorgeous red and pink shade called Jupiter. 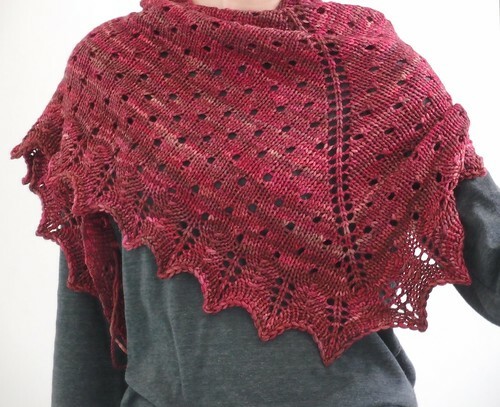 and also gives plenty of fabric in this drapey yarn that can be snuggled around the neck as a scarf. A kind friend is going to test knit it for me, and I hope to be able to release this woolly plague into the world soon! Just gorgeous! Can’t wait for the pattern! I love my knitting and can’t wait for this Pattern I want to make for my Mum Jessie 83 living in Tasmania. 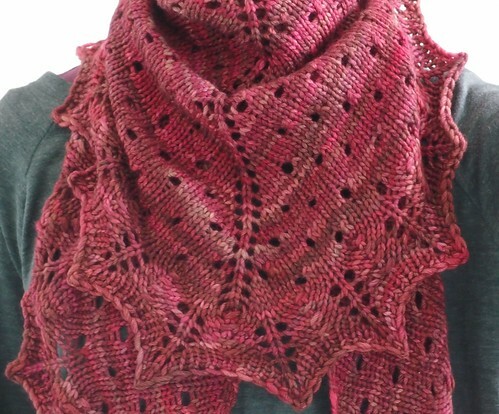 I’m really looking forward to knitting your red death shawl pattern. I want to spin some yarn ready for it. Can you guesstimate yardage? Am in awe of the skills! On 5mm needles, with worsted weight yarn, I’d guesstimate 250-350 yds. Assuming my pattern works as intended, there are two sizes. 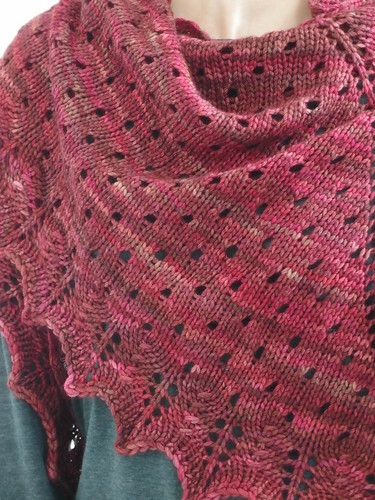 The original black version is smaller and I only used the second skein of Malabrigo for the lace border, giving a shawl 57 inches wide and 15 inches deep. The larger red version is 80 inches wide and 24 inches deep. It’s lovely! Looking forward to the pattern. Tell me the story of the name of the pattern – interesting, I`m sure.